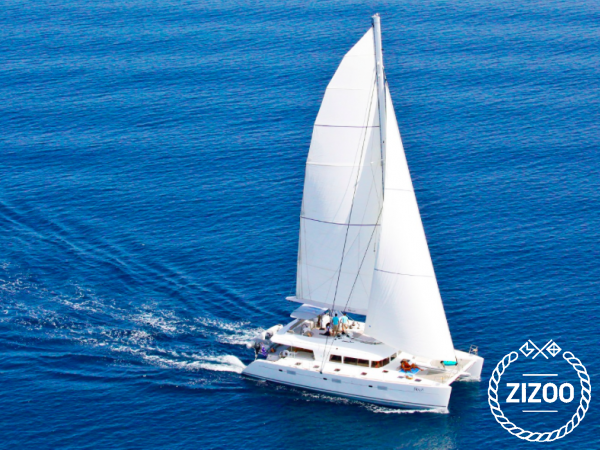 Experience life on a floating villa when you charter this fully crewed luxury Lagoon 620 catamaran in Greece. You and up to 7 guests can enjoy cruising along the clear waters outside of Athens as your 3-member crew treats you with freshly prepared meals, wine and cocktails. The Lagoon 620 is brilliantly designed inside and out. When not lounging on one of this yacht’s extensive decks, you can test out the waters with one of this yacht’s several water toys including water skis, snorkelling equipment a kayak and more. Back on land, you can take in the sights on one of the bicycles included with your charter. Get inspiration for your dream holiday aboard this Lagoon 620 with our guide to the Athens, the Greek islands and other destinations in Greece.